December 19 is the 353rd day of the year in the Gregorian calendar. There are 12 days remaining until the end of the year. 211 Publius Septimius Geta, co-emperor of Rome, is lured to come without his bodyguards to meet his brother Marcus Aurelius Antoninus (Caracalla), to discuss a possible reconciliation. When he arrives the Praetorian Guard murders him and he dies in the arms of his mother Julia Domna. 215 Clement of Alexandria (b. Titus Flavius Clemens, probably in Athens, ca. 150; d. ca. 215), Greek church father, is commemorated. He is regarded as the founder of the Alexandria school of theology. 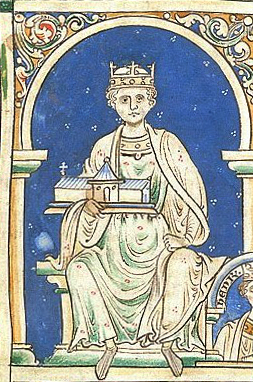 1154 Henry II of England is crowned at Westminster Abbey. 1606 The Susan Constant, the Godspeed, and the Discovery depart England carrying settlers who found, at Jamestown, Virginia, the first of the thirteen colonies that became the United States. 1734 Count Nicholas von Zinzendorf (1700–1760), founder of the modern Moravian church and a pioneer in ecumenism and missions, was recognized as a minister by the theology faculty of Tuebingen, Germany. 1776 Thomas Paine publishes one of a series of pamphlets in The Pennsylvania Journal entitled "The American Crisis". 1777 American Revolutionary War: George Washington's Continental Army goes into winter quarters at Valley Forge, Pennsylvania. 1828 Nullification Crisis: Vice President of the United States John C. Calhoun pens the South Carolina Exposition and Protest, protesting the Tariff of 1828. 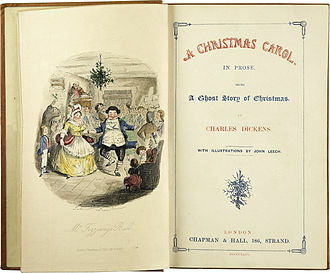 1843 A Christmas Carol by Charles Dickens was first published. 1907 239 coal miners die in a mine explosion in Jacobs Creek, Pennsylvania. 1912 William H. Van Schaick, captain of the steamship General Slocum, which caught fire and killed over 1,000 people, many of them members of Saint Mark Lutheran Church, Manhattan, was pardoned by U.S. President William Howard Taft after three-and-a-half-years in Sing Sing prison. 1924 The last Rolls-Royce Silver Ghost is sold in London, England, United Kingdom. 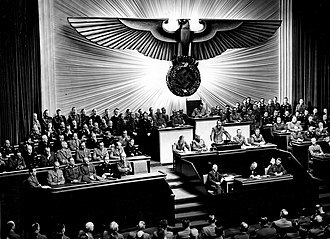 1941 World War II: Adolf Hitler becomes Supreme Commander-in-chief of the German Army. 1941 World War II: Limpet mines placed by Italian divers sink the HMS Valiant and HMS Queen Elizabeth in Alexandria harbour. 1946 Start of the First Indochina War. 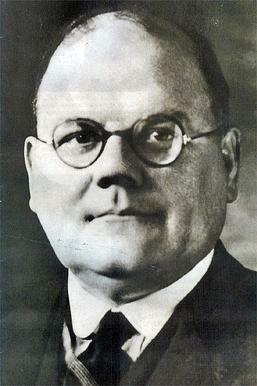 1956 Irish-born physician John Bodkin Adams is arrested in connection with the suspicious deaths of more than 160 patients. Eventually he is convicted only of minor charges. 1972 Apollo program: The last manned lunar flight, Apollo 17, crewed by Eugene Cernan, Ron Evans and Harrison Schmitt, returns to Earth. 1975 John Paul Stevens is appointed a justice of the Supreme Court of the United States. 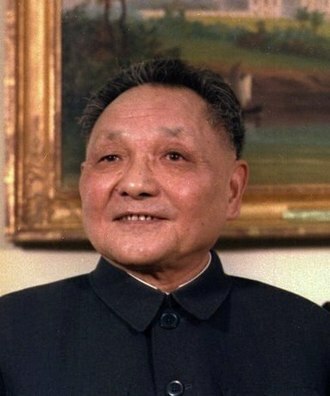 1984 The Sino-British Joint Declaration, stating that China would resume the exercise of sovereignty over Hong Kong and the United Kingdom would restore Hong Kong to China with effect from July 1, 1997 is signed in Beijing, China by Deng Xiaoping and Margaret Thatcher. 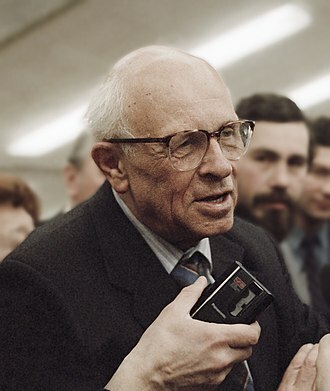 1986 Mikhail Gorbachev, leader of the Soviet Union, releases Andrei Sakharov and his wife from exile in Gorky. 2001 A record high barometric pressure of 1085.6 hPa (32.06 inHg) is recorded at Tosontsengel, Khövsgöl, Mongolia. 1498 Andreas Osiander the Elder, theologian of the Reformation who was involved in the controversy on justification, in Gunzenhauser, Middle Franconia, West Bavaria, Germany (d. 17 Oct 1552). A bird's-eye view of Trinity Church on Wall Street, lower Manhattan, New York City, 1912. 1808 Horatius Bonar, regarded as the most eminent hymn writer of Scotland, also a preacher of great fame and power, in Edinburgh, Scotland (d. 31 May 1889). 1842 Bernhard Pick, Presbyterian and Lutheran pastor in the Mid-Atlantic States, author and hymnist, at Kempen, Prussia (d. 10 April 1917). Wallace Bryant (left) with George Phillip Bryant. 1864 Eduard Louis Arndt, LCMS China missionary, in Bukowne, Pomerania (d. 18 Apr 1929). 1875 D[avid] W Griffith "Inventor of Hollywood", American film director who pioneered modern film-making techniques. He is mostly remembered for the groundbreaking 1915 film The Birth of a Nation, as well as its sequel Intolerance (1916). He is closely associated with his frequent leading lady, Lillian Gish. 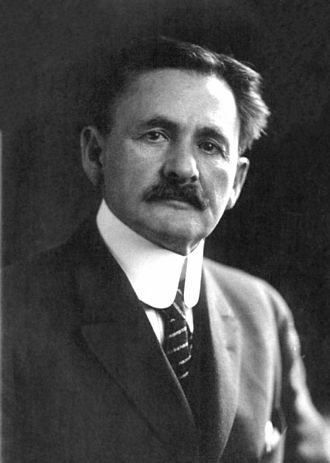 1905 Irving Kahn, American businessman and investor. 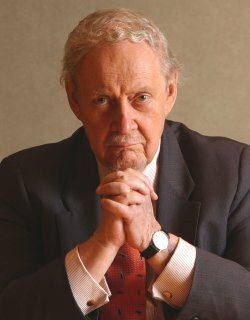 He was the oldest living active investment professional. He was an early disciple of Benjamin Graham, the creator of the value investing methodology. 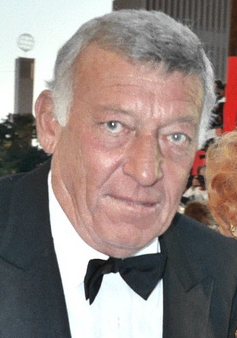 Kahn began his career in 1928 and continued to work until his death. 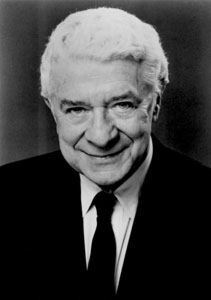 He was Chairman of Kahn Brothers Group, Inc., the privately owned investment advisory and broker-dealer firm that he founded with his sons, Thomas and Alan, in 1978. 1926 Herb Stempel, television game show contestant and subsequent whistleblower on the fraudulent nature of the industry, in what became known as the quiz show scandals. His rigged six-week appearance as a winning contestant on the 1950s show Twenty One ended in an equally rigged defeat by Columbia University teacher and literary scion Charles Van Doren. 1933 Cicely Tyson, American actress. She was nominated for the Academy Award for Best Actress, and the Golden Globe Award for her performance as Rebecca Morgan in Sounder (1972). For this role she also won the NSFC Best Actress and NBR Best Actress Awards. She starred in The Autobiography of Miss Jane Pittman (1974), for which she won two Emmy Awards and was nominated for a BAFTA Award. During her career she has been nominated for twelve Primetime Emmy Awards, winning three. In 2011, she appeared in the film The Help, for which she received awards for her ensemble work as Constantine from the BFCA and SAG Awards and she has an additional four SAG Award nominations. She starred on Broadway in The Trip to Bountiful as Carrie Watts, for which she won the Tony Award, Outer Critics Award, and Drama Desk Award for Best Actress in a Play. She previously received a Drama Desk Award in 1962 for her Off-Broadway performance in Moon on a Rainbow Shawl. 1749 Francesco Antonio Bonporti, Italian priest and composer whose work influenced Johann Sebastian Bach (b. 11 Jun 1672). Martyrs Eutychios and Thessaloniki, and with them 200 men and 70 women, by the sword. Saint Avitus (or Adjutus), Abbot of Micy near Orleans in France, an abbot renowned for the spirit of prophecy. Saint Manirus, one of the Apostles of the north of Scotland.